Nearly every newborn baby born in the United States receives screening for certain treatable genetic conditions between 24 to 48 hours after birth. This routine process of newborn screening is a state run public health program that reaches nearly four million babies in the US each year. As technology advances, it is plausible that screening in the future will change to provide even more information about a child. What if we could analyze a baby’s entire genome and uncover potential health threats and effective treatments for future illness? This technology, called whole genome sequencing (WGS), already exists. Genome sequencing deciphers the order of DNA nucleotides in the human genome. The human genome is made up of a combination of over three billion nucleotide bases of As, Cs, Gs, and Ts. The combined nucleotides form DNA, which is a chemical code that guides human growth, development and, most important of all, health. Genome sequencing reaches beyond the standard tests to uncover potential health threats present at birth that are not typically screened for in the general public. It may be possible that, one day, health professionals will use whole genome sequencing as a health blueprint throughout a person’s life. There is hope that the blueprint can assist physicians in developing personalized and effective treatment programs for future illness. Ineffective medication and mysterious illnesses could no longer be an issue for individuals. Knowing about future health complications could also allow for preventive measures to be put in place. However, the future of this technology remains a question, as we don’t yet know how a WGS result is effective years after it is mapped. There are many unanswered questions that may come with getting your genome sequenced. Whole genome sequencing may discover degenerative health conditions that will occur later in life. For parents who are not interested in knowing this information, this could cause problems. 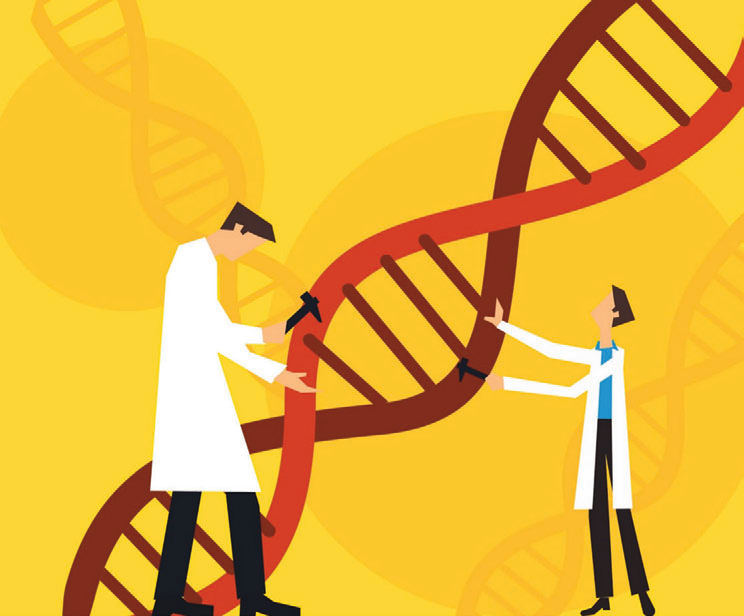 Genome sequencing is still in its infancy. It is also possible that the discovered mutations are benign and will never cause disease. Are physicians legally and/or morally responsible to tell the families what they have discovered? As a parent, would you want to know that information? If a simple test could help you prepare for the ups and downs of life, some say why wait? Let’s delve into a specific situation where WGS may be especially helpful. Acute cytomegalovirus (CMV) infection is a condition caused by the herpesvirus family. Once you come in contact with a herpesvirus, the virus will remain in your body for the rest of your life, although it may not be active (causing illness). CMV is spread by direct contact of body fluids such as blood, saliva, urine, and breast milk. Other modes of virus transmission include blood transfusions and sexual contact. Many people are exposed to CMV or another herpesvirus early in life but do not know it because they do not have any symptoms. CMV is a congenital virus, meaning that it can be passed from mother to child. Signs and symptoms of CMV in mothers may be similar to the flu including a fever of 100.4°F or above, extreme tiredness, sore throat, loss of appetite, muscle and joint pain, swollen glands, hepatitis (inflammation of the liver). Signs and symptoms of congenital CMV at birth may include jaundice (yellowing of the skin and whites of the eyes), a rash consisting of small, purplish spots, low birth weight, pneumonia (lung infection), seizures, small head, or enlarged liver and spleen. You can avoid coming in contact with CMV by washing your hands often with soap and water for 15 to 20 seconds — and always after contact with diapers or a young child’s saliva. Avoid sharing food, eating utensils, or drinking glasses with young children. Also, avoid kissing children under six years old on the mouth or cheek. It is safer to kiss them on the forehead or give them a hug. Healthy pregnant women are not tested for CMV unless there is reason to believe that they may be at risk. CMV is not one of the conditions tested for during routine newborn screening. A diagnosis of CMV can be made two to three weeks after birth if the virus is found in an infant’s urine, saliva, blood, or other body tissues. If parents or a physician believes the mother or child may be at risk, a TORCH screen may be done. TORCH stands for toxoplasmosis, rubella, cytomegalovirus, herpes simplex, and HIV. A TORCH screen looks for antibodies to the diseases listed, which show that the disease was present in the body at some point. Genome sequencing can look for the presence of uracil in DNA. Uracil is typically found in RNA, not DNA. The presence of uracil in a person’s DNA can cause mutations. Human cytomegalovirus (HCMV) encodes for a protein, UL114, which has uracil DNA glycosylase and it is the uracil in the protein that causes problems in newborn children. Children may be born asymptomatic, meaning that CMV has not yet become active in the body, or symptomatic with a clinically apparent disease, which is true of 90 percent of children born with CMV. The Centers for Disease Control and Prevention (CDC) estimate that about 1 in 750 babies are born with or develop disabilities as a result of congenital CMV. Congenital CMV is the leading cause of nonhereditary sensorineural hearing loss in newborns, causing 20 to 30 percent of childhood hearing loss (decreased sensitivity to sound). Sensorineural hearing loss occurs when there is damage to the inner ear (cochlea), or to the nerve pathways from the inner ear to the brain. The inner part of the ear contains tiny hair cells that change sounds into electric signals. The signals are then carried to the brain by nerve cells. When the cells are damaged and signals cannot be transmitted to the brain, hearing loss occurs. Hearing loss due to CMV can be present at birth or late onset. Late onset hearing loss refers to gradual hearing loss that can begin during the early school years. Whole genome sequencing of newborns can identify the CMV virus and allow for early identification of hearing loss. Early identification is the catalyst for aiding children in the development of language whether the parent decides to introduce oral or visual language. Several interventions, including therapy and new technologies, are available to help individuals diagnosed with hearing loss as a result of CMV. For more information on CMV and to locate support groups for this condition, visit www.diseaseinfosearch.org. Rebecca Downey is sophomore studying Public Health and Education at American University in Washington, D.C. Rebecca is currently completing an internship with the Maternal and Child Health program at the Genetic Alliance in Washington, D.C.
Sharon Romelczyk serves as a Program Manager at Genetic Alliance, overseeing public education efforts aimed at increasing access to genetic services and the quality of genetic services.